The stork was invited to sit down at the table. She was very hungry and the food smelled delicious! 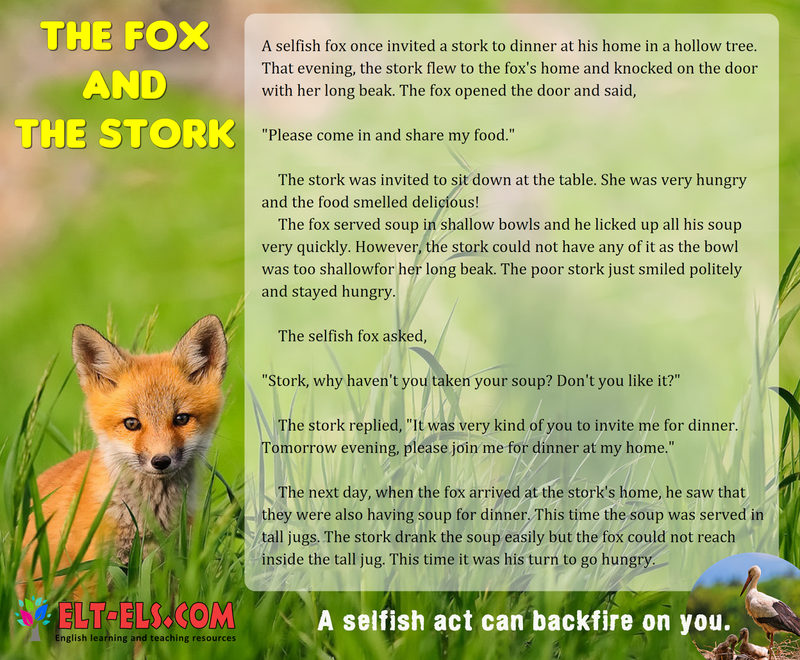 The fox served soup in shallow bowls and he licked up all his soup very quickly. However, the stork could not have any of it as the bowl was too shallowfor her long beak. The poor stork just smiled politely and stayed hungry. The stork replied, “It was very kind of you to invite me for dinner.